The head of Iran’s Islamic Revolutionary Guards Corps said that the organization tasked with protecting the regime at all costs, had “organized around 100,000 popular forces” in Syria and Iraq, adding that this and Hezbollah’s “missile capabilities” were just some of the “unrivaled success of the Islamic Revolution”. 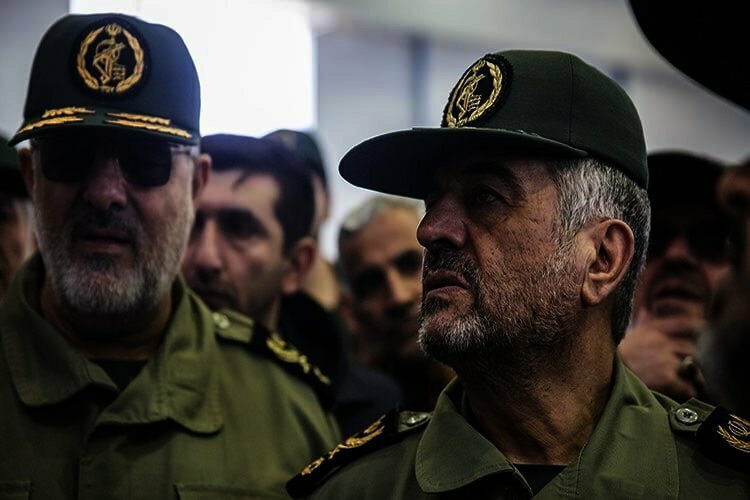 In a lengthy interview with the state-run Soroush Magazine, excerpts of which were published by Iranian media, Major General Mohammad Ali Jafari cited Iran’s military measures in neighboring countries and said that the regime’s success in the region could not be put into words and should be “felt” instead. Jafari said that Iranians were also sent to neighboring countries to “share their experience” with the regime’s forces there. Recently, the State Department’s special representative on Iran, Brian Hook, once again warned the regime against its involvement in Iraq and Syria. “Since 1979 they have sought to undermine various states, and they want to replace their national identity with a sectarian identity,” Hook told Alhurra television on March 15, adding that this had created instability in the Middle East and contributed to violence and bloodshed. EU leaders have also said that despite their opposition to Trump’s decision to leave the nuclear deal, they also believe that the Iranian regime was playing a destructive role in the region. Jafari also mentioned Iran’s financial support for its malicious activities in the region adding that Iran did not spend as much as the US in the region. He claimed that Washington spent trillions against what he called “the resistance” in the region. There were previous reports of Iran spending 4 billion dollars in Syria in support of the country’s dictator, Bashar al-Asad. With the US led sanctions, which has curbed Iran’s ability to finance its forces in the region, Hezbollah and Hamas are now facing major financial issues. Hezbollah Secretary General Hassan Nasrallah recently made a desperate televised outcry about “facing financial difficulties” as a result of sanctions against “our backers”, and requested donations. Hezbollah has been designated as a terrorist organization by the US and Britain. In Palestine, the Iran backed Hamas organization has raised taxes on Palestinians in the Gaza Strip. According to the AP, videos have circulated online showing Hamas forcibly dispersing hundreds of demonstrators who were protesting tax hikes and poverty. More scenes of #Iran-backed Hamas terrorists imposing a severe crackdown on Palestinians protesting poverty, poor living conditions & human rights violations.